Congenital abnormalities of the thoracic systemic and pulmonary arteries can occur in isolation or in the setting of a complex cardiovascular malformation. Severe or complex vascular defects are usually diagnosed and corrected in childhood. Infrequently, anomalies of the systemic and pulmonary arteries present during adulthood. 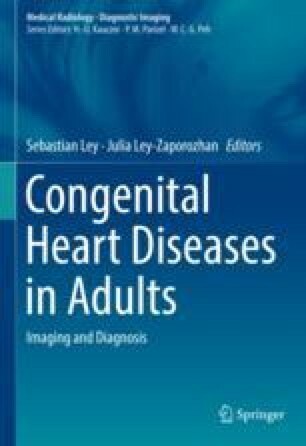 After correction of a cardiovascular malformation most children survive into adulthood. In adults, the most common indication for imaging is to evaluate post-treatment sequelae. Understanding the underlying pathology and possible complications that may occur during follow-up is essential for planning imaging studies. Furthermore, knowledge on the different imaging modalities, including their strengths and limitations for assessing anomalies of the systemic and pulmonary arteries, is important. Supplementary material is available in the online version of this chapter at https://doi.org/10.1007/174_2017_165.